Is AvalonBay Communities Inc (NYSE:AVB) a buy right now? Prominent investors are taking an optimistic view. The number of bullish hedge fund positions increased by 1 lately and hit an all time high. Our calculations also showed that AVB isn’t among the 30 most popular stocks among hedge funds. AVB was in 27 hedge funds’ portfolios at the end of December. 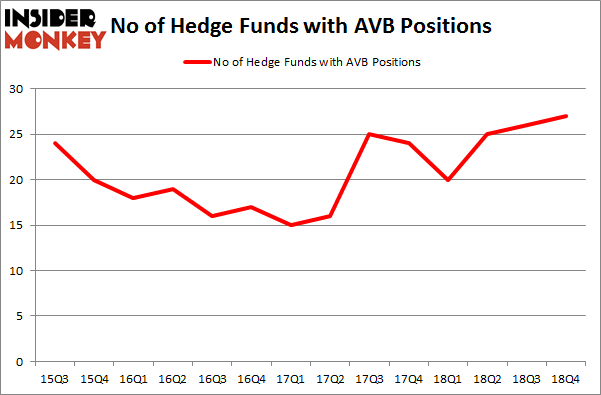 There were 26 hedge funds in our database with AVB holdings at the end of the previous quarter. Let’s check out the latest hedge fund action surrounding AvalonBay Communities Inc (NYSE:AVB). How have hedgies been trading AvalonBay Communities Inc (NYSE:AVB)? Heading into the first quarter of 2019, a total of 27 of the hedge funds tracked by Insider Monkey held long positions in this stock, a change of 4% from the second quarter of 2018. On the other hand, there were a total of 20 hedge funds with a bullish position in AVB a year ago. With the smart money’s sentiment swirling, there exists a few notable hedge fund managers who were boosting their holdings substantially (or already accumulated large positions). Among these funds, Renaissance Technologies held the most valuable stake in AvalonBay Communities Inc (NYSE:AVB), which was worth $306.9 million at the end of the third quarter. On the second spot was AEW Capital Management which amassed $194.9 million worth of shares. Moreover, Citadel Investment Group, Millennium Management, and AQR Capital Management were also bullish on AvalonBay Communities Inc (NYSE:AVB), allocating a large percentage of their portfolios to this stock. With a general bullishness amongst the heavyweights, specific money managers have been driving this bullishness. Hudson Bay Capital Management, managed by Sander Gerber, established the largest position in AvalonBay Communities Inc (NYSE:AVB). Hudson Bay Capital Management had $4.5 million invested in the company at the end of the quarter. Josh Donfeld and David Rogers’s Castle Hook Partners also made a $3 million investment in the stock during the quarter. The other funds with brand new AVB positions are Sander Gerber’s Hudson Bay Capital Management, Peter Rathjens, Bruce Clarke and John Campbell’s Arrowstreet Capital, and Ben Levine, Andrew Manuel and Stefan Renold’s LMR Partners. 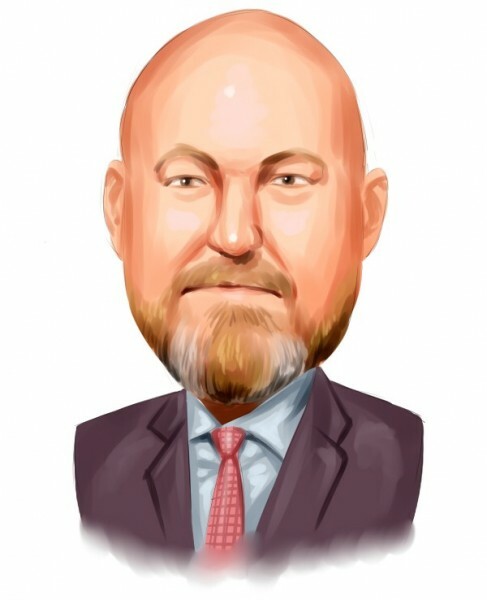 Let’s check out hedge fund activity in other stocks – not necessarily in the same industry as AvalonBay Communities Inc (NYSE:AVB) but similarly valued. We will take a look at State Street Corporation (NYSE:STT), Worldpay, Inc. (NYSE:WP), Electronic Arts Inc. (NASDAQ:EA), and Electronic Arts Inc. (NASDAQ:ED). All of these stocks’ market caps are similar to AVB’s market cap. As you can see these stocks had an average of 40 hedge funds with bullish positions and the average amount invested in these stocks was $1702 million. That figure was $956 million in AVB’s case. Electronic Arts Inc. (NASDAQ:EA) is the most popular stock in this table. On the other hand Consolidated Edison, Inc. (NYSE:ED) is the least popular one with only 23 bullish hedge fund positions. AvalonBay Communities Inc (NYSE:AVB) is not the least popular stock in this group and hedge fund interest is still below average even though it is at its all time high. Our calculations showed that top 15 most popular stocks among hedge funds returned 19.7% through March 15th and outperformed the S&P 500 ETF (SPY) by 6.6 percentage points. A handful of hedge funds were also right about betting on AVB, though not to the same extent, as the stock returned 14.3% and outperformed the market as well.